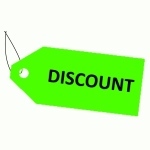 These offers are free with the purchase of the Firefox Dart 2.6 - 21Speed Bicycle. 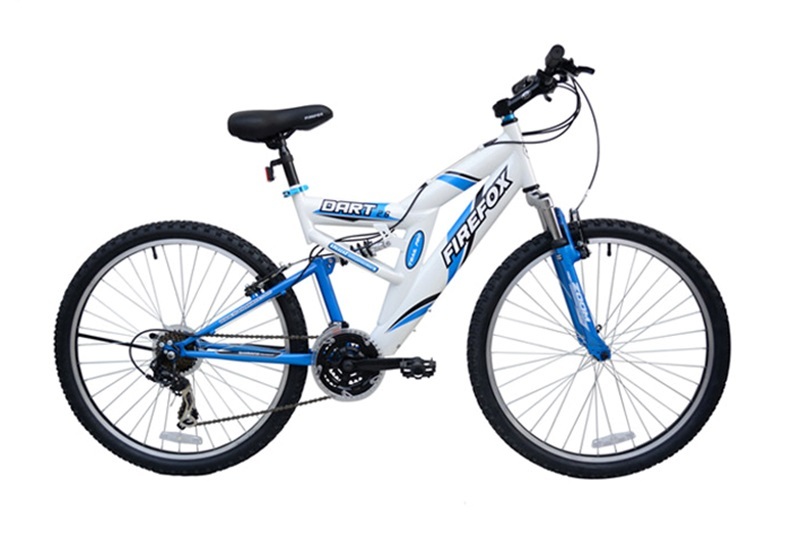 The Firefox Dart 2.6 21 - Speed (2012) has a steel frame with full suspension. The Firefox Dart 2.6 21 - Speed (2012) comes equipped with a 21-Speed. Shimano Tourney Drivetrain which is controlled by 3x7-Speed Shimano EF-51 Shifters. The Firefox Dart 2.6 21 - Speed (2012) has front and rear rim brakes. The Firefox Dart 2.6 21 - Speed (2012) has a zoom suspension fork with 50mm travel. The Firefox Dart 2.6 21 - Speed (2012) has Wanda 26 x 2.10" tires fitted on Alloy rims. The Price of the Firefox Dart 2.6 21 - Speed is Rs.14400. 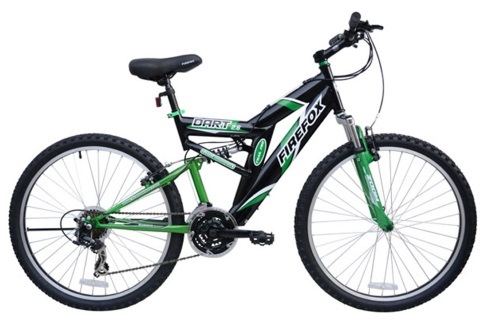 The Firefox Dart 2.6 21 - Speed (2012) is a great intermediate bicycle for children aged 9 years and above, as well as young teenagers looking for a cycle for commute and fitness, and are looking to buy a second, entry-level, basic geared bicycle. This bicycle with front and rear suspensions is not be mistaken for a full suspension MTB. This bicycle is meant to be ridden on urban roads, which are smooth and rough for commuting and/or leisure rides. The Shimano Tourney 21-Speed front and rear derailleur along with trigger shifters performed well during the test ride. The 3 colour variants give the rider varied choices to choose from. 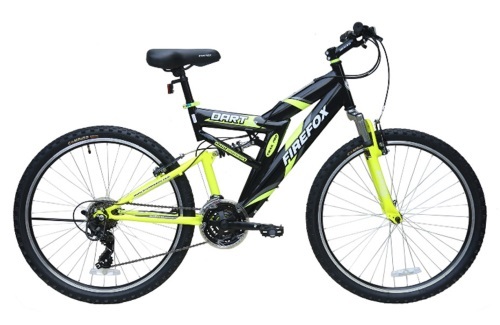 Priced at Rs.14,400(as on 31st October 2018) the Firefox Dart 2.6 21-Speed is the ideal choice for both adult and teenagers looking for a bicycle for short rides and city commutes. 2. In what condition will I get the Firefox Dart 2.6 - 21Speed? 6. 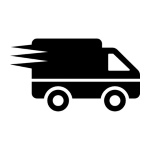 How will I know if Firefox Dart 2.6 - 21Speed will fit me without riding it? 7. How long will it take for me to receive the Firefox Dart 2.6 - 21Speed?